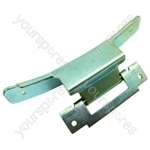 Choose a manufacturer to reveal the models that the part 3 X Indesit Hotpoint Ariston Washing Machine Drum Paddle Lifter 12 Hole is suitable for. 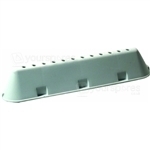 Search our range of 3 X Indesit Hotpoint Ariston Washing Machine Drum Paddle Lifter 12 Hole C00268109-3-pack by Ufixt models by entering your model number to perform a search. 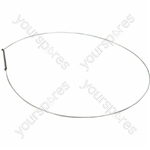 Write your own review of 3 X Indesit Hotpoint Ariston Washing Machine Drum Paddle Lifter 12 Hole. quick delivery, good price, easy to fit the part, saved me a fortune. Excellent product, good postage and easy to fit. hi i have a hotpoint washing machine that has lost all 3 drum paddle lifters the model number is wmef 963 experience are the 3 that are listed for 8.24 compatable for this machine or not . Is this the correct paddle? I've got a hotpoint aqualtis AQ9D 69U and I need 2 new paddles. Are these the right ones? 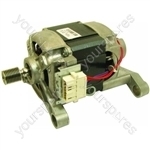 Hi I wish to order these paddle lifters are they the correct ones for a Indesit WD 12x? Why Do Washing Machine Drum Paddles Need Replacing? Items have been put in to the washing machine that should not go in the washing machine causing the plastic to break. Over a period of time the plastic starts to deteriorate and cannot take the stress of the loads. 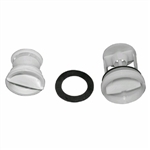 Previous replacements have not been fitted correctly causing them to break during use. To be absolutely certain you should check that the model number of your appliance is listed. With this particular drum paddle you can also identify by counting the number of holes on the top (if yours has 12 holes then this one is a suitable replacement).